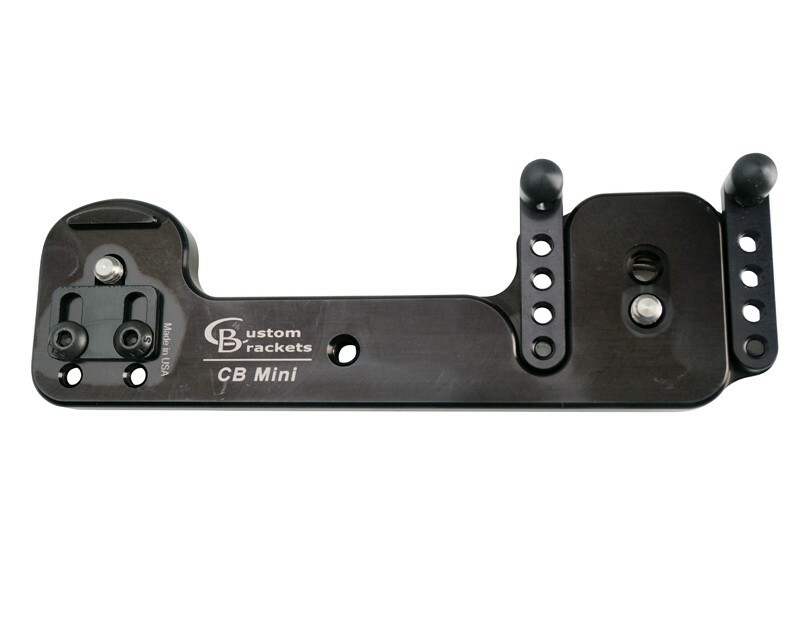 The CB Mini is a horizontal camera and flash platform bracket. The wide cork-padded camera platform will support a digital, 35mm film, or medium format camera. The 1/4"-20 camera screw can be adjusted for cameras of different thickness.